“Property prices in Israel are currently about 25 percent above their equilibrium value, owing largely to low mortgage interest rates and supply shortages. The risk of a sharp correction in house prices, while mitigated by the supply shortages, remains a concern and could have important macro-financial implications. To contain such risks, macroprudential policies should be further tightened. 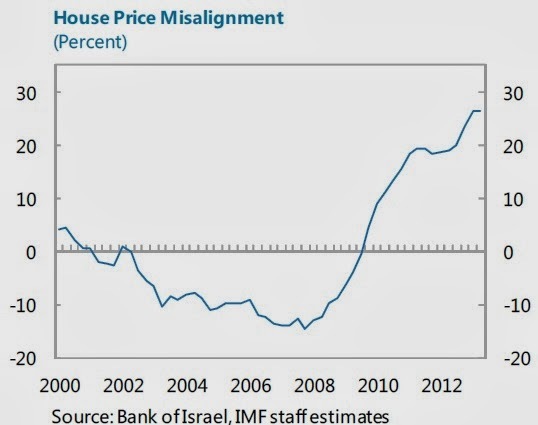 At the same time, concerted efforts should be made to alleviate supply-side constraints,” says IMF’s special issues study on Israel’s housing market. The study talks about the developments in the housing market, risks of correction in house prices and its consequences, role of policies, policy considerations, and other issues. Read the full report here.